When we first found out we were going to Antarctica with Quark Expeditions, we were so excited. But then curiosity and confusion set in. 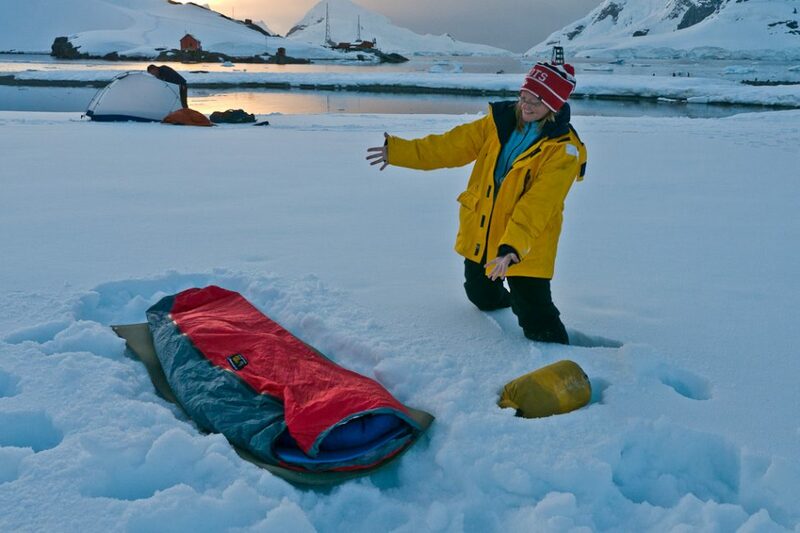 What do you do on an Antarctic Expedition? 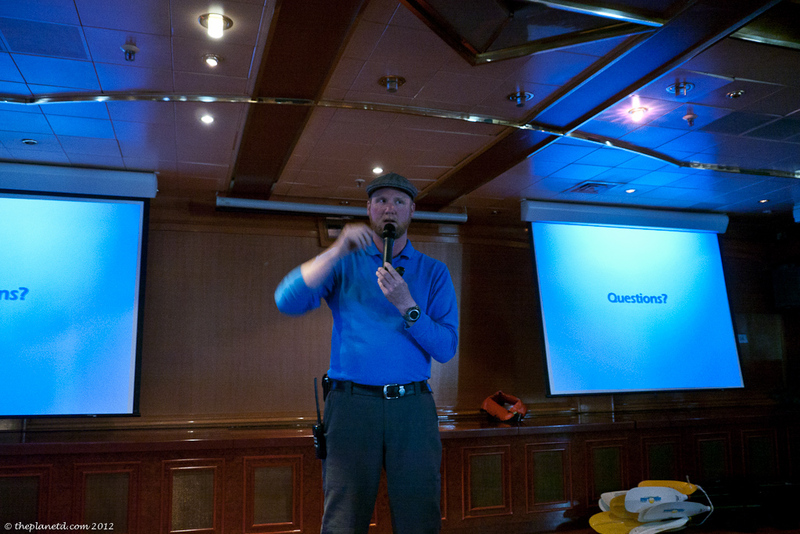 We didn't know the first thing about life on an expedition ship. Would we be cruising in old icebreakers from Russia? Were we going to join scientists researching the area? What type of people go on this ship. Is an expedition only for the wealthy? 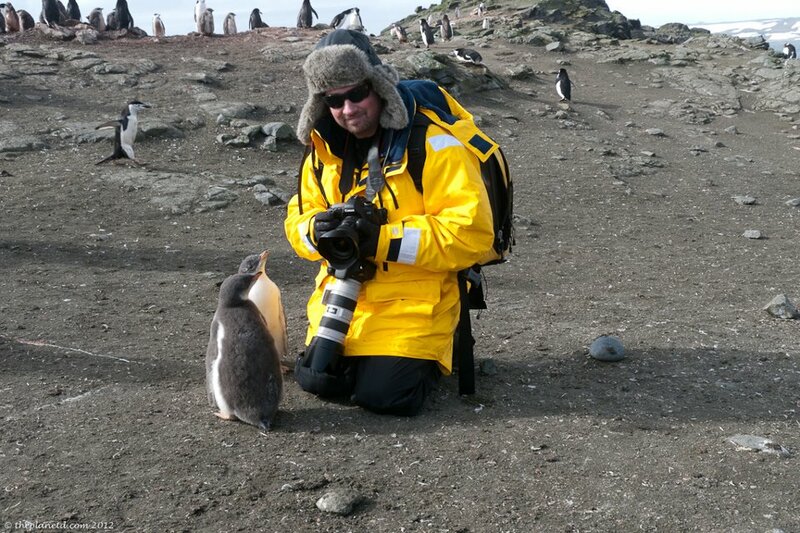 I think a lot of people don't really understand what goes on during an Antarctica Expedition. They know that people go to the South Pole on vacation, but they have no idea what they do once they get there. Contrary to popular belief, Antarctic Expeditions aren't only for the rich. People of all walks of life go on an expedition. Our cruise we filled with business professionals, retirees, nurses, travel professionals, families. Antarctica is a more expensive trip than most, but people save for this special occasion. Many people are looking to add that 7th continent to their travel itinerary and others have simply always dreamed of seeing it in person. With the Antarctic cruising season in full swing, we thought we'd give our readers an idea of what to expect if they go to Antarctica. Before reading on, enjoy this video highlight of everything we did on our Antarctica Expedition. 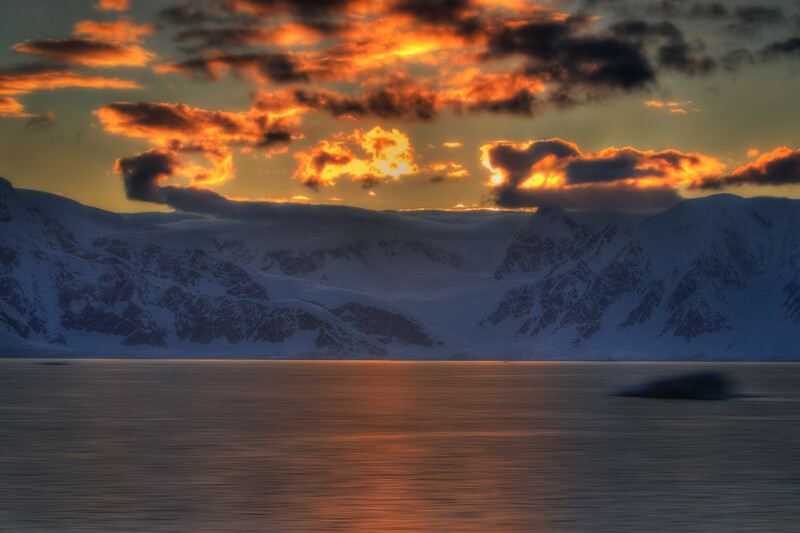 Most people travel to Antarctica from the Southernmost city in the world. 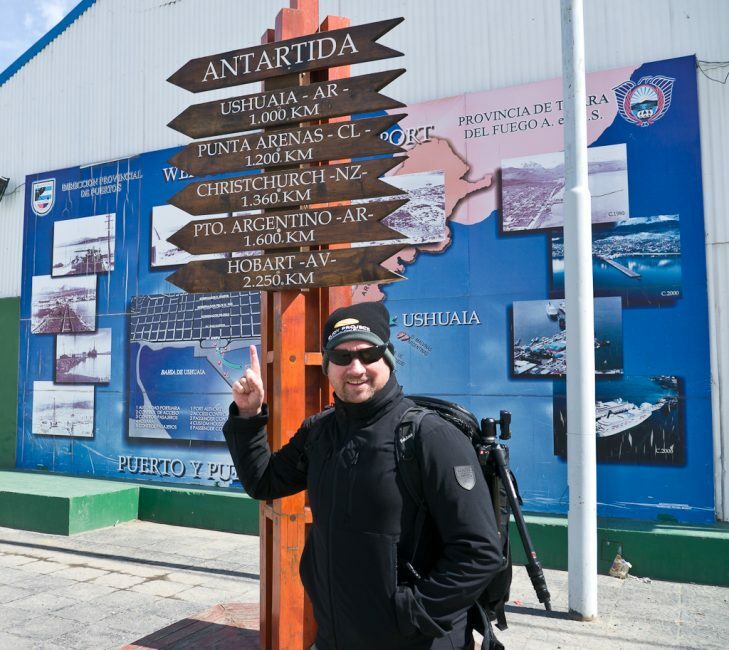 Ushuaia, Argentina is Fin Del Mundo (The End of the World) and it truly feels like you are at the bottom of the world when visiting this southernmost city on earth. Ushuaia is an isolated city at the bottom of South America and arriving a day or two early is a great way to start the trip. 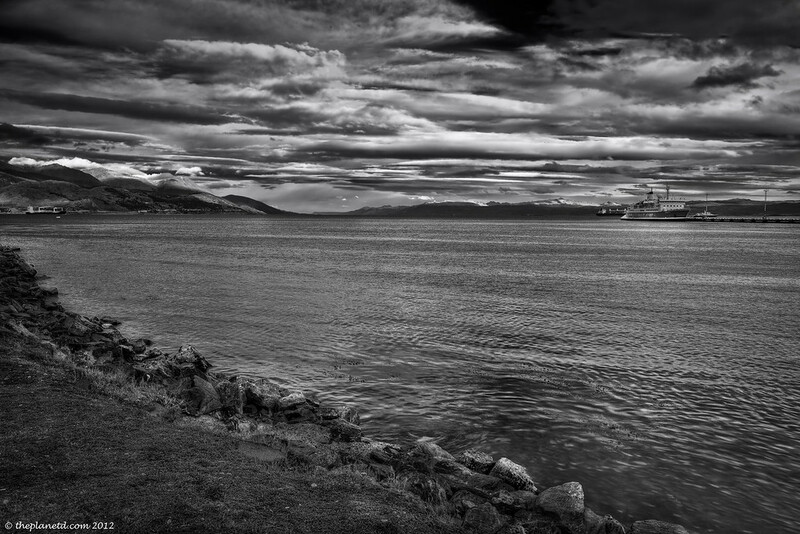 You can check out Beagle Channel Many where sailors set out from to circle Cape Horn, enjoy the many shops and restaurants and go to the Maritime Museum. There is accommodation from hostels to luxury. So there is something for everyone. 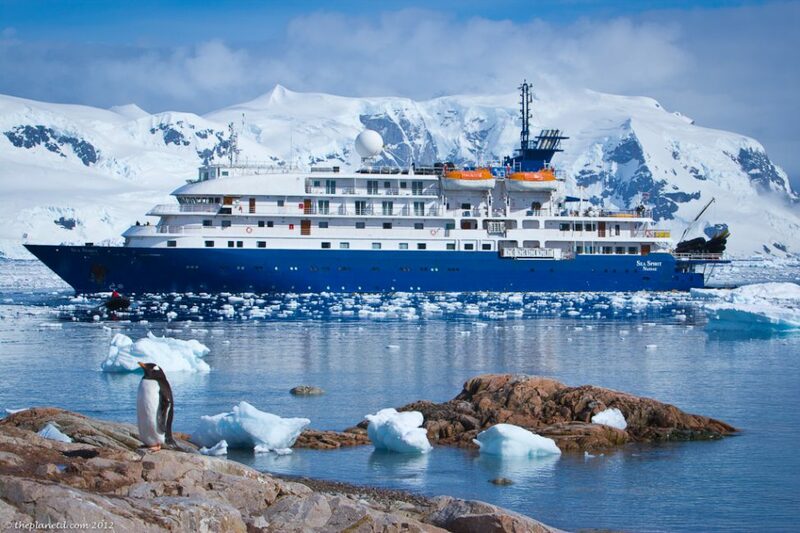 The Sea Spirit by Quark Expeditions was far beyond our expectations. It's an all suites ship that only holds 114 passengers. There is an open bar in a large and comfortable lounge complete with library. There is a huge deck with Hot Tub and the dining area is luxurious and spacious. Dinners were four-course meals with choices of wine and breakfasts and lunches were buffets. On balmy days, we even had barbeques outside. It also has a large lecture room where slides and presentations take place each day and there is even a workout room. The rooms are large and comfortable with big duvets and private baths. We had a large closet to store our gear and parkas and a couch and table for lounging. There was even a TV and lots of plugs for our electronics and a huge bay window. Quark Expeditions has a brand new ship! “The Ocean Endeavour is a comfortable, well-appointed small expedition ship expertly engineered to explore the Polar Regions. This newly renovated ship has an ice-strengthened hull, Zodiacs for exploration and remote landings, generous deck space and advanced navigation equipment. 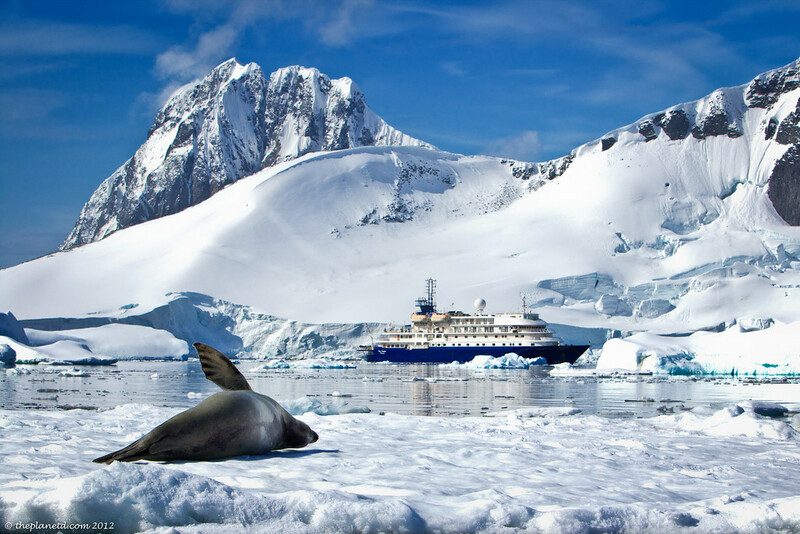 This is a luxury Antarctica Cruise but it has all the elements of an expedition including lectures, wildlife viewing, hiking, and exploring. While crossing the Drake Passage, people can meet in the lecture room to listen to presentations from the very knowledgeable staff. They are marine biologists, conservationists, geologists, professional photographers, zoologists, historians, naturalists and there is even a ships doctor. This is a well-educated and trained staff. The Drake Passage is known to have the roughest seas in the world and 20,000 sailors have lost their lives exploring these waters. In the 21st century, things are much better for passengers cruising to Antarctica. Our ship, the Sea Spirit has state of the art stabilizers and Captain Peter has been sailing these seas for over a decade. We were in good hands and along with our healthy dose of Dramamine, we were ready to take on the mighty waves. The rocking was fierce and the chairs and tables are bolted to the floor, but while the boat was tossed around in the mighty Drake, we found the experience to be pleasant and almost fun. I don’t know how we slept through the worst of it. But we did. We heard stories of people being tossed out of their beds, unsecured items flying through the air and many a passenger huddled by their toilets praying to the porcelain Gods. It was 11:00 pm when we hit the Drake with full force and we went to bed just in time before the really big waves hit. 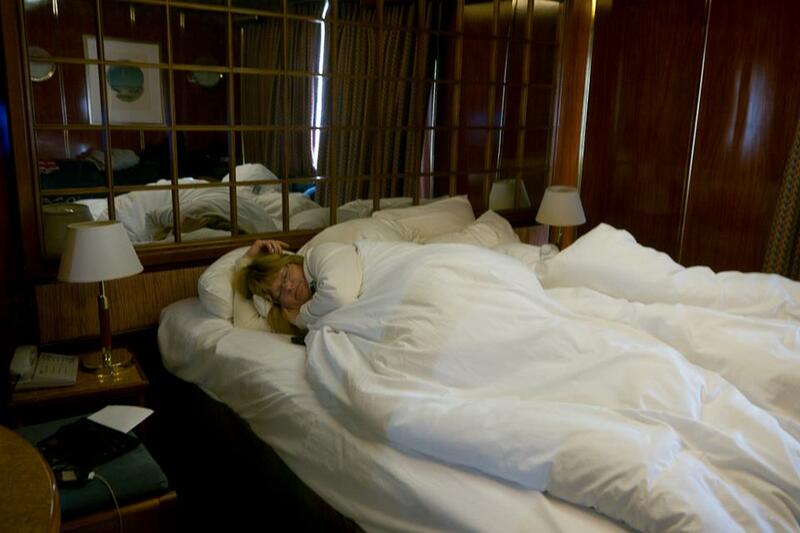 As we lay down to sleep we heard a few yelps and hollers from cabins around us as the ship rocked from side to side. I awoke with sore arms wondering why on earth my hands felt cramped and realized that I must have been clutching the bed all night long subconsciously keeping myself from rolling to the floor. 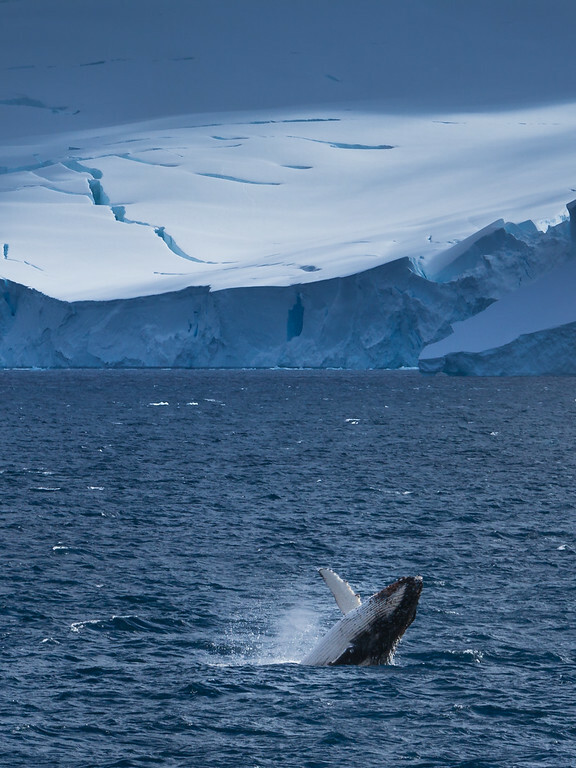 One of the highlights of an Antarctica Voyage is cruising the Lemaire Channel. Nicknamed the Fuji Funnel, Kodak Canal and Agfa Alley by past photographers, you can understand why. This channel is gorgeous. Most passengers spend the few hours outside on the bow of the boat taking photographs and enjoying the views. 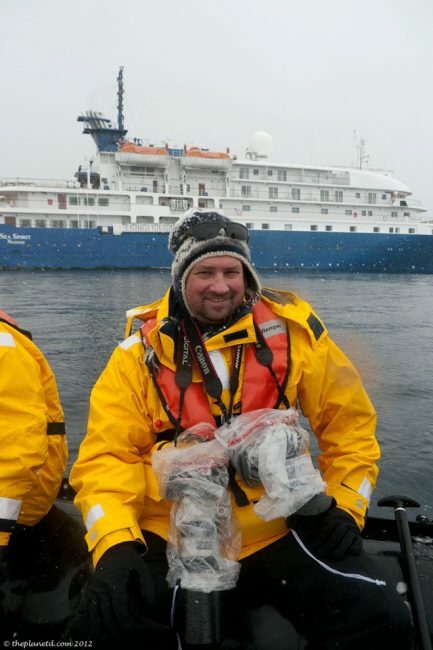 Quark Expeditions gives you parkas to keep so you are toasty warm. 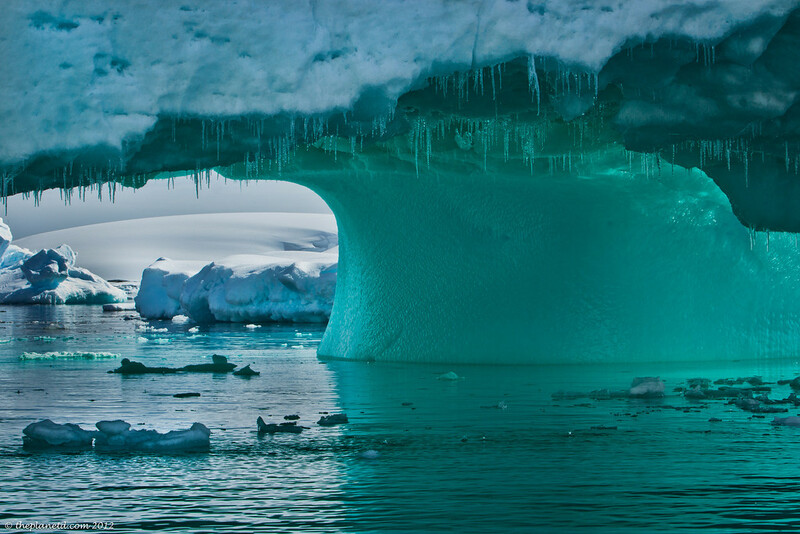 We spent hours watching in awe as our captain navigated through icebergs in the narrow passageway. 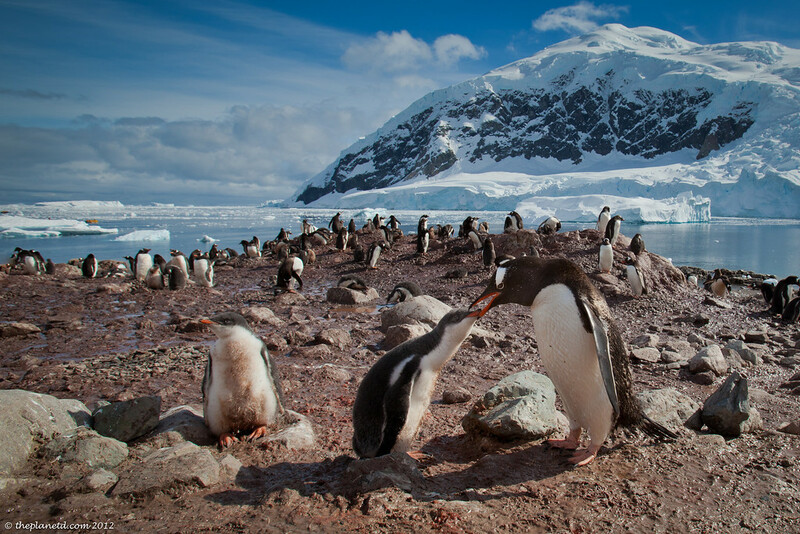 A visit to Antarctica is all about the penguins. Within hours of crossing the Drake Passage, you'll land on an island to watch the penguins go on with their everyday lives. There are strict rules to stay out of their way and to avoid standing on their penguin highways that lead to the sea. Tour leaders put out cones to make sure passengers know to stay clear of the penguin's paths. The point of the expedition is to disrupt their lives as little as possible. So you must stay at least 5 metres away from them. 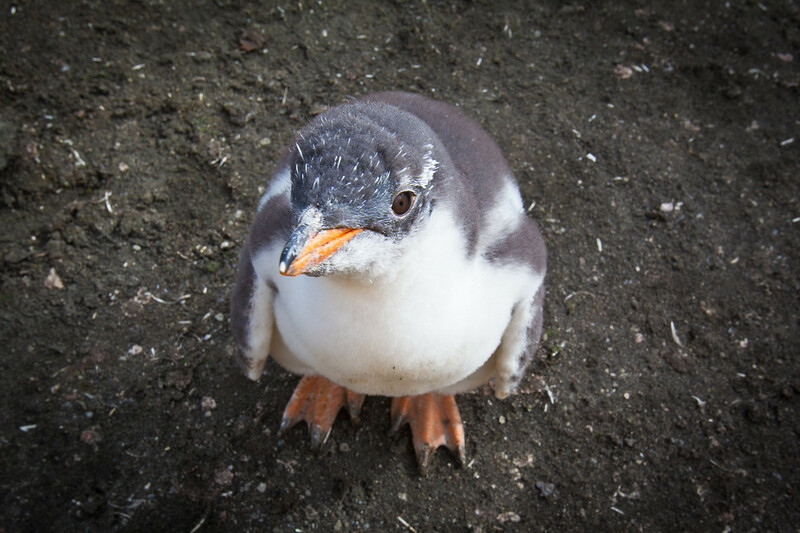 However, penguins are curious creatures, so chances are, if you sit very still while watching them, they'll walk right up to you and say hello. You don't spend all your time on ship and land, most of the Antarctic Expedition is spent on Zodiacs exploring icebergs and wildlife. You go out on zodiacs at least once a day in search of whales and seals. 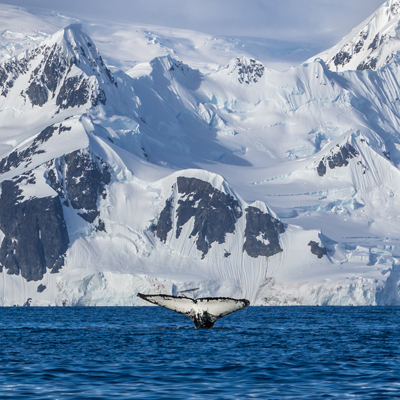 The marine life of Antarctica has no fear of man, so you never have to search for long. Once the zodiacs are put in the water, they come looking for you. We had whales surface right beside us and swim right under our boats. 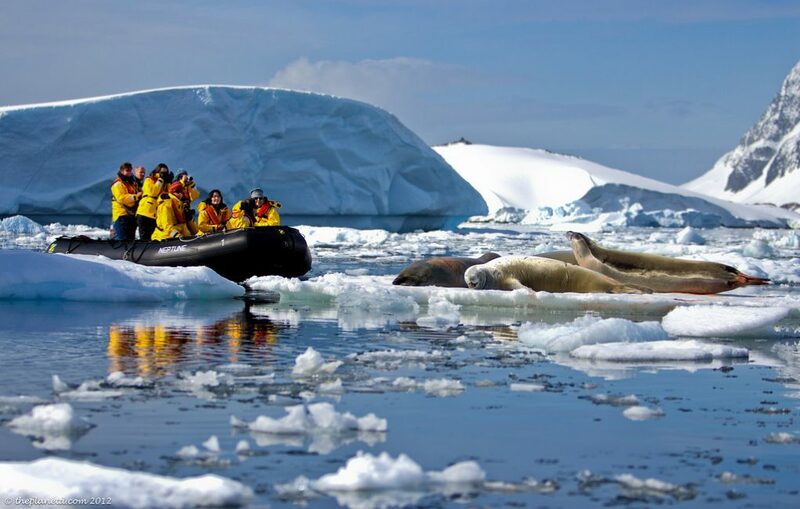 Zodiacs allow you to pull up right beside ice flows to watch seals bask in the sun. 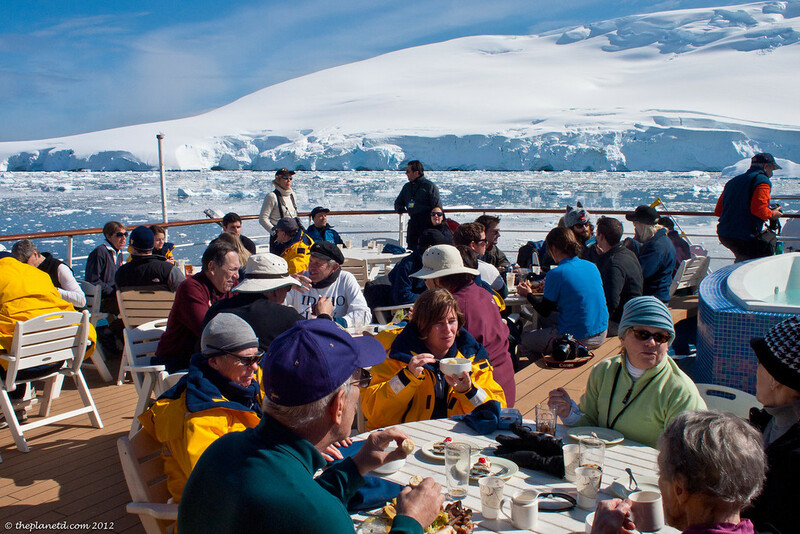 The zodiacs excursions happen morning and afternoons and passengers are called by their deck numbers. Deck numbers are rotated each trip allowing everyone maximum time in the water. You dress in your waterproof pants, brand new parkas, (given you to keep!) and rubber boots on loan from Quark for the duration of your trip. Put on a hat and gloves and pack your camera gear because you may be out for a couple of hours. 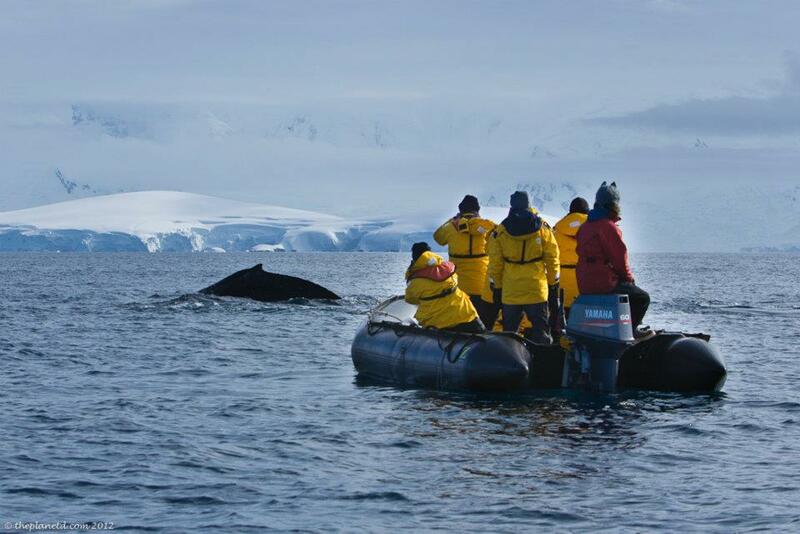 The staff are experts zodiac drivers and are all skilled and knowledgeable about the polar regions. Most expedition guides are scientists or biologists and share an astounding amount of knowledge with passengers. 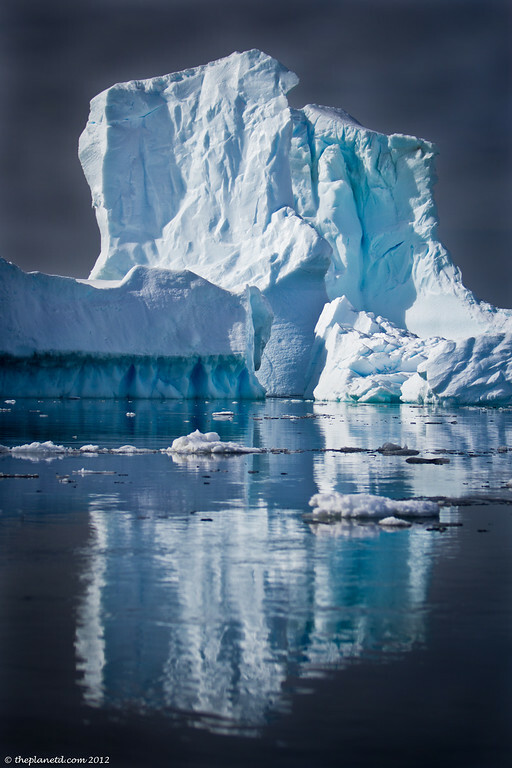 The icebergs of Antarctica are spectacular. We saw them everywhere, but one of the coolest days was when we sailed through Pleneau Bay. Home to the iceberg graveyard. Having made their way from the far reaches of the south of the continent, ancient chunks of flat and rolled icebergs have run aground to spend the rest of their days rumbling and churning in the Pleneau Bay. There are also many landings when on Expedition in Antarctica. Each day is different. Passengers will load up in zodiacs and be taken to shore where they can explore. People split off on different hikes into different speeds and interest. Some people go on power hikes high up in the hills while others take a more relaxing saunter taking their time to stop and explore. Sometimes whales swim alongside the ship and the Expedition leader will call you out from your afternoon naps to watch them breach again and again. We had a mother and calf follow our ship for 45 minutes leaping out of the water again and again for our enjoyment. Even when we are simply sailing from one destination to another, there is so much to see. You'll find that each day is packed with activity and even though a rest is warranted after hiking on land or sightseeing on zodiacs, most people will be out on deck taking photographs and taking in the views. It's hard to believe now with whales being so plentiful in Antarctica, but in the early 1900s, whales were hunted to near extinction. Their blubber was used for oil but with the invention of technology that blubber was no longer needed and eventually, the whaling stopped. 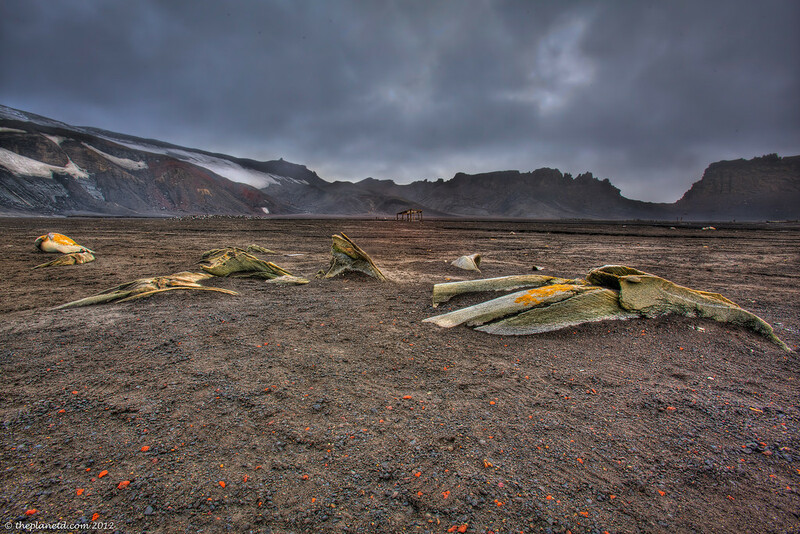 There are remnants of old whaling stations though and a visit to Deception Island allows you to walk along the beach and still see old whale bones left over from the boilers. It would have been hard and depressing work for the men living here. 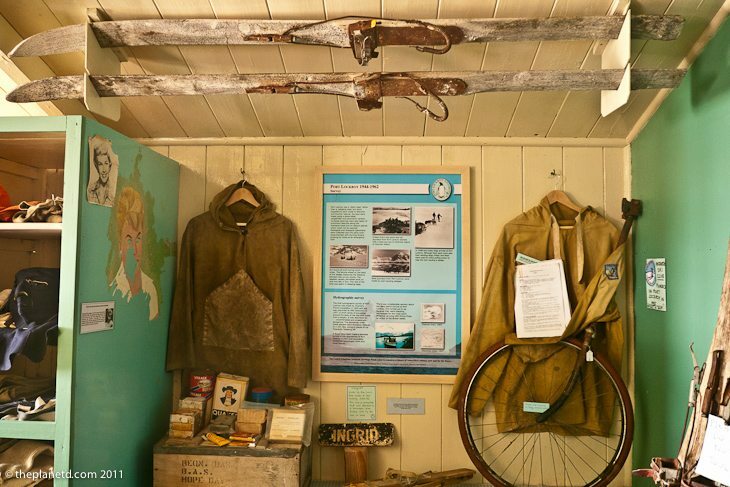 A great stop is the old British Research Station at Port Lockroy where you can visit a museum displaying what life was like for the early explorers of Antarctica. 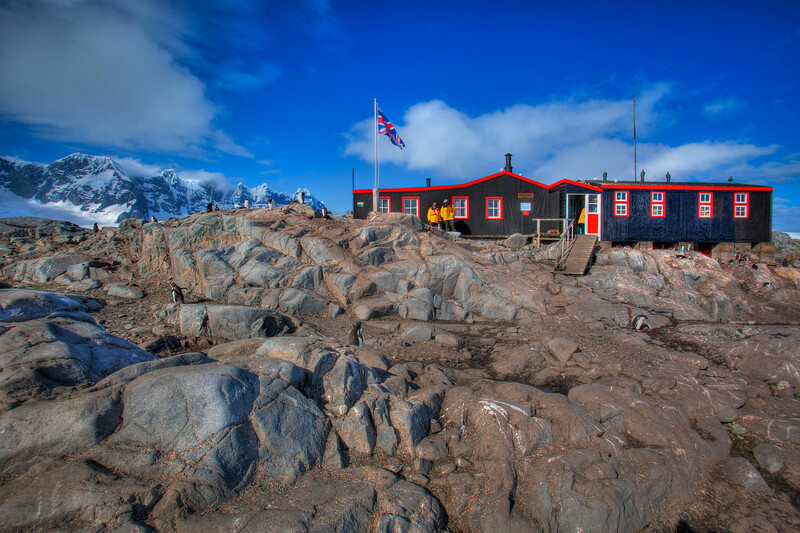 Bunks, rooms, radio stations and even kitchens are left as they were and you can decide whether or not you would have had what it takes to explore Antarctica. It is here that you receive that sought-after stamp for your passport and you can buy some souvenirs from the least visited continent on earth. 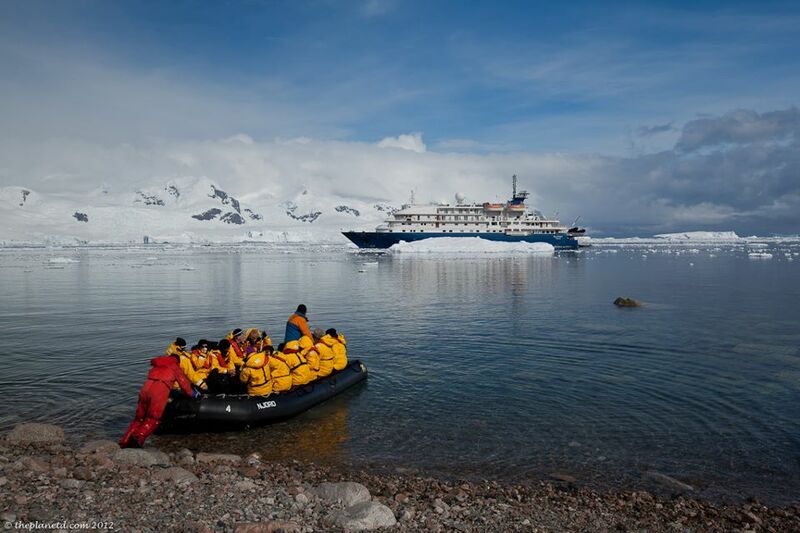 It's not mandatory, but each and every voyage offers passengers the chance to jump into the frigid waters of the Antarctic Peninsula. Unlike other expeditions where people run into the water from shore, Quark Expeditions has people jump off the stern of the Sea Spirit. You are tethered to the ship for safety and you hop off the boat plunging into the icy cold. If you are adventurous you can swim 10 meters to a zodiac full of staff taking your photograph or you can climb right back up the ladder. The only stipulation to get your certificate and T-shirt is that your entire body including head has to go completely under the water. Quark Expeditions offers sea kayaking excursions. You can sign up for it when booking your expedition and we highly recommend it. The sea kayaking happens throughout the entire expedition. While crossing the Drake Passage, you join your guide in the lecture room to gather all your gear including, paddles, pfds, dry suits, booties and skirts. You then venture out on deck on a calm day and review your wet exits and skills and set your foot pedal lengths. Depending on the weather during the trip, you can end up paddling every single day of the voyage while you are in Antarctica and many times twice! We managed to paddle 6 times while in Antarctica and it is wonderful to be out in silence with penguins jumping beside you and leopard and Weddell seals sleeping on ice flows barely noticing you as you pass right by. Another excellent option is to camp on the continent in bivy sacs. This is your only chance to say that you actually slept on Antarctica. Each year 30,000 people visit Antarctica, only two thirds actually land and there are a handful of people foolish enough to camp at the bottom of the world. Many people, including us don't count a proper visit to a country unless they've slept there. You are not allowed to bring anything but water on the continent of Antarctica and a portable toilet is brought over by staff only for a dire emergency. It is advisable not to eat a lot and skip that glass of wine with dinner before heading over. Everyone is taken over to a quiet beach by zodiac a couple of hours before sunset. They then stamp out a path around the camp and towards their spot where they choose to sleep and are given sleeping bags and bivy sacs to sleep in. You don't sleep in tents as the small sacs keep you warmer. You sleep in all your layers and parkas and at first light, you pack up and happily head back to the ship for breakfast. 30 Responses to "Antarctic Expedition Explained – What to do on Continent #7"
Its just awesome …M feeling like that m also on the 7th planet ,information you have covered is really great. This sounds like an amazing trip! Camping on Antarctica is such a unique opportunity. (Although I’m not surprised that so few people participated… it must have been freezing!) Thank you for this post; I love seeing photos of Antarctica. Beautiful! This expedition sounds so awesome! I would die if I got to say the penguins! they’re my favorite! I dream of going to Antarctica and this only made me more determined to get there! It looks so beautiful. I would definitely go for the Dramamine for the Drake Passage too! Thanks for a great post! Your penguin photo just killed ME. How cute is that? And you camped out there? How was it? Did you guys brave the Polar Plunge? Hey Stefan, Thanks for the message. Yes we did brave the polar plunge. It was crazy wild. We did some kayaking in Antarctica too. It’s truly a dream trip. This looks amazing, not a fan of cruises but this is one of the few times I would go on a cruise! Would you guys go back or was it a one in a lifetime experience? We’d definitely go back. i’d love to go to South Georgia to see the emperor penguins. Antarctica is definitely a place that you want to go back to once you se itt. It’s amazing. I really want to go to Antarctica. I have even applied for a job at Port Lockroy. Don’t want to get my hopes up too much but fingers crossed! Mabey the penguins often don’t see people and interesting “that is this?” is amazing they behave as models. Haha! So true. These little guys definitely don’t see people often enough especially the adolescents that were the very curious ones. Amazing photos ,I mostly liked photos with the penguins (I didn’t believe that they was so freely ). I admire you ,I see you and freezing ,I can’t I withstand the cold , so I Live in greece , I love sun. Thank you! and glad you enjoyed the penguins, they are cute aren’t they? It’s amazing how they just roam freely around the continent without a care in the world. Now once they get in the water, that’s a whole other ballgame. There’s a lot of predators in there looking to have them for dinner. Talk about ‘kill’n-it’ on the photos! The Polar Plunge is now definitely on that ever growing bucket list…it never ends! I’ve been wanting to do an Antarctic cruise for a long time. It looks like a lot of fun. How awesome it must have been to be so close to the penguins and have such incredible photo opportunities. It really was awesome Laura. The photo opportunities are astounding. You don’t ever want to go inside for fear of missing something magnificent. Which you unavoidably did because at nearly every moment there was a beautiful view or whale or glacier. It was one thing after another. I love this post so very much! Photos are amazing and I wish that I would some day could go! Thank you Angeliqa, I hope you make it there too. Keep dreaming big, we never thought we’d get a chance to go to Antarctica and yet, here we were! The great white land indeed! So beautiful! So amazing! Since we have advanced in technology I would love to go to the Drake passage. It is totally worth the cruise! The Drake Passages is definitely an adventure. Sometimes you can have a completely flat crossing, but chances are, one of the two will be rough. Thank God for stabilizers! This is very interesting! I hope to go visit the 7th continent someday. I hope you do too! Cheers.